This international design award was launched by the Parramatta City Council. 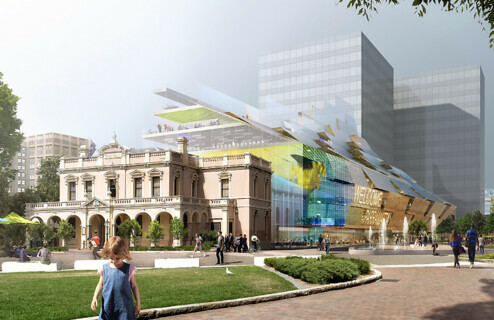 The ambition of the City of Parramatta was: “We want this development to be unique and spectacular – a building that will be recognized around the world and help to put Parramatta on the map”. A cutting-edge glass construction featuring a wave-shaped façade of crystalline blocks has been selected as the winning design for Parramatta Square’s landmark civic and community building. Manuelle Gautrand Architecture, Paris (France), with Lacoste + Stevenson, Sidney & Designinc, (Sidney - Australia) are the Winner of the international competition for the construction of the Parramatta Square’s Landmark civic and community building in Parramatta (Australia). The design has been endorsed by Parramatta City Council after a jury voted unanimously to award the international design competition to a consortium of French firm Manuelle Gautrand Architecture and Australian firms Designlnc and Lacoste + Stevenson. “The jury was tasked with selecting an iconic design and they have certainly fulfilled that brief. The architects have produced a contemporary and thought-provoking design that is sure to become a must-see destination for visitors to Parramatta, and we congratulate the team on producing a spectacular winning design” Lord Mayor of Parramatta Cr Paul Garrard Cr Garrard said. The eye-catching design encapsulates and extends above the historic Town Hall with a cantilevered structure providing a platform for the Council Chambers. Core to the building design is a stack of transparent glass that gradually rises to the north-east with a large LED screen for the public art projections. 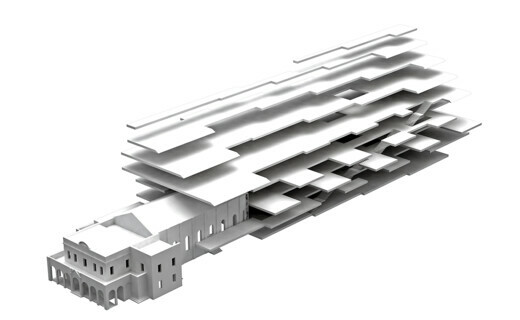 Built into the entire lower levels of the southern façade will be a LED screen for multimedia projections, which will be able to display images such as public art and event programs. 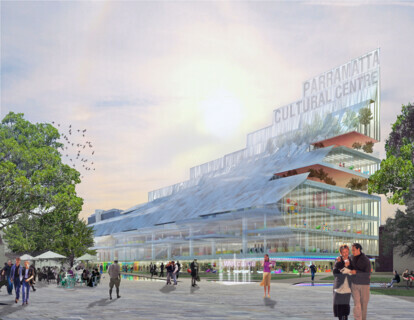 “This will be a building that defines Parramatta as a Smart City. 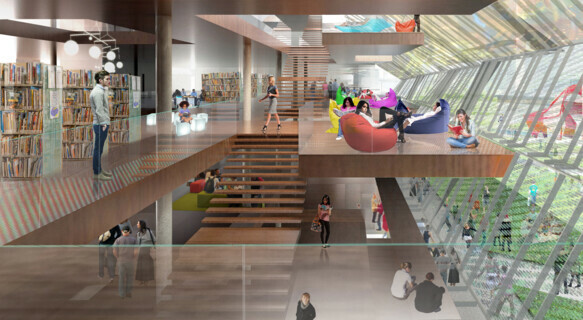 The interactive nature of the building and library of the future will be something that locals and visitors will be able to enjoy for decades to come. It has also been cleverly designed to pay respect to heritage and merge together the past, present and future” Cr Garrard said. The building will accommodate various spaces as a library, a Smart City Command Center, Community Meeting rooms, a community technology Hub, an Innovation space, a visitor experience center, Council chambers, Council customer services, Councilor Offices, and common facilities. The $50 million project will cover six-storeys with a Gross Floor Area (GFA) of approximately 12.000 sqm. 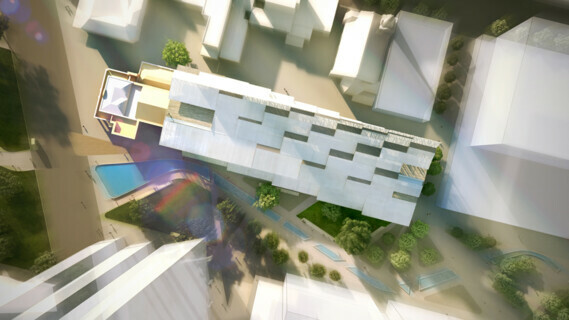 The building is expected to be delivered in 2019.